Hard Root Beer in a comp? Re: Hard Root Beer in a comp? I do stove top pasteurization to keep these kinds of beers and ciders. meaning you bring it to a boil for a few minutes? Then crash and rack? Put bottles in tap water, bring slowly up to 180-190, hold for 20 minutes. Pull bottles out. Easy peasy! Doesn't that approach the boiling point of the alcohol? Like what distillers do? Seems like there is a potential for a blowout. No problems, though? The 190 has worked for me as far as effective pasteurization goes, yes. I did have a bottle explode in the water once. However, it was completely submerged in water so the shards were contained. Scared the bejeebus out of me for sure though! The boiling point of alcohol is 173, IIRC. Thanks Amanda! I'll assume I can bottle off the keg and then do this without affecting the carbonation, correct? I would assume so (if you don't loose the cap's seal), but I have only done it with bottle conditioned sours for stability's sake and a bottle conditioned carbonated cider to see if it'd work. Bottle conditioned or bottled from a keg, I can't think there would be a difference although the concern of exploding bottles doesn't really appeal to me............Might give one a try but I will do a little more research. If anyone else has suggestions let me know. I am wondering if there is anything I can add to the keg to kill off the yeast without affecting the flavor profile? Researching campden tablets further, people seem to agree that it will take care of most of the yeast, but the yeast these days are bred to be resistant to the sulphates. Some yeast will survive and will take off again at some point. There has to be a way to do this without filtering or ruining the product. Next time hit with campden tablets before kegging. How does Guinness pasteurize their beer. 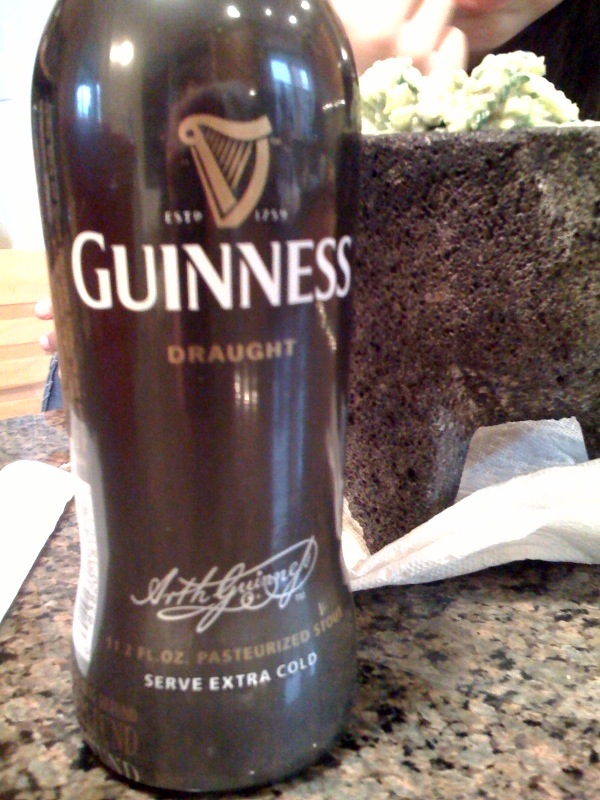 Does Guinness pasteurize their beer? Maybe they no longer do this? People who make wine use Potassium Sorbate. i was reading this as well but didn't find anything pertaining to beer, I'd assume it wouldn't change/add anything to the flavor? Can I add it to the current keg I have tapped so I can pull a few bottles, or does it need to be added somewhere else in the process? The chemists here will have more info I'm sure, but from my canning experience, killing unwanted mircro-organisms is a function of time+temp+pH. I'm thinking you can stay well under the boiling point of alcohol and do this much more safely by reducing the temp of your water bath and extending the time. I would leave one taller (above water line) bottle uncapped and check temp in it to make sure content temps were high enough. The capped bottles are going to be under pressure so their temps will be higher than the uncapped one. I'd think it's worth a try, and the lower temps are less likely to impart a cooked taste to your product. I pasteurized a stout once, believe I used 165FA for 15min. I do use sorbate in my back-sweetened ciders. Or you can use Splenda. Doesn't matter what the BP of ethanol is, a 5% ABV mixture will only start boiling in the mid 190's. And pressure would raise the BP. I bete the commerical outfits do flash pasteurization, high temp for a very short time. yes, fully fermented out but the final product is back sweetened with sugar in the keg, hence the need to pasteurize if bottling for a comp. To follow up, spoke with the great folks at Wyeast and they suggested exactly what Amanda did earlier in the thread but at 175 for about 15-20 minutes so that's what I'm going to do and see how it goes. Campden will stop fermentation temporarily, but it will restart. Potassium sorbate will stop fermentation from restarting. Sorbate alone might work if fermentation has stopped. Campden alone will not, it only stuns yeast. Both together are a sure bet. I'm pretty sure the campden dose rate is 1 per 20 liters, not gallons. But the dose also depends on pH. Noone has suggested filtering to my knowledge. How about passing it threw one of these?